LuxuryRealEstate.com is considered one of the premier websites for luxury real estate from around the world. It has been profiled in Forbes magazine, and has made its Top 100 websites list. It has also been profiled in Unique Homes, Dupont Registry, Wall Steet Journal, and many other publications. LuxuryRealEstate.com is both a website and also a print magazine. The print magazine is published several times a year. The publisher / founder John Brian Losh is considered one of the most influential people in the luxury real estate category, today. 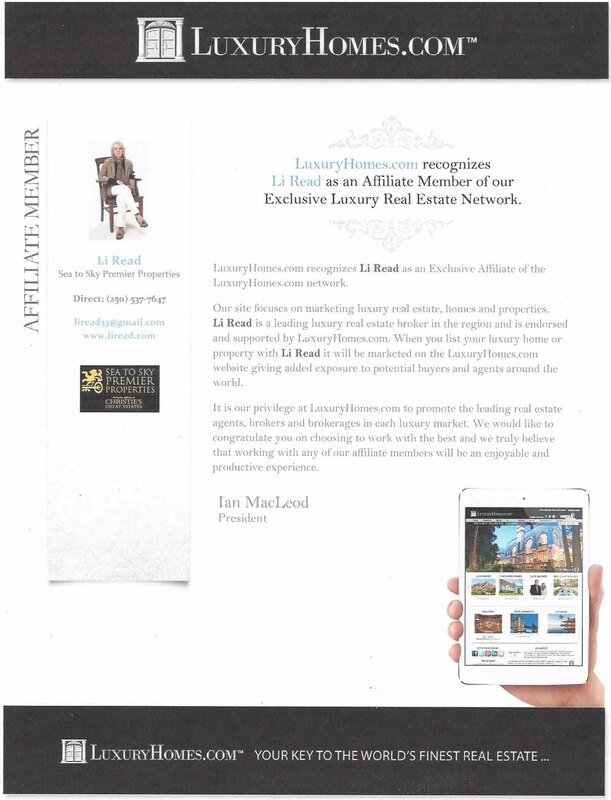 I have been a member of LuxuryRealEstate.com for many years, when the owner of this company invited my participation, and profile many of my high end listings both on their website and also in ads in their quarterly print magazine. Although some real estate companies are represented on this site, I have been welcomed as a top producing individual, in this very specific market category (luxury real estate). A company that belongs to this group can allow its salespeople to use the logo in their company oriented advertising materials. They cannot use it as individual realtors, though. If they want to advertise a listing in this venue, they must do it through their company, not as themselves, and they would have to pay for the ad (it's not a company expense). My listings are there as an individual membership, and so this is a very strong presence, indeed, for all my sellers. More information? Call me! In 2007 I was invited to attend a major conference, in Vancouver/Whistler, and this was a very productive venue in which to showcase my area & my listings. The same opportunity was available to me, in a U.S. venue, in April, 2008. Give me a call, re updates on this most recent marketing feature. The attendees were truly from all over the world. Lots to share with you re this -- email me for details. 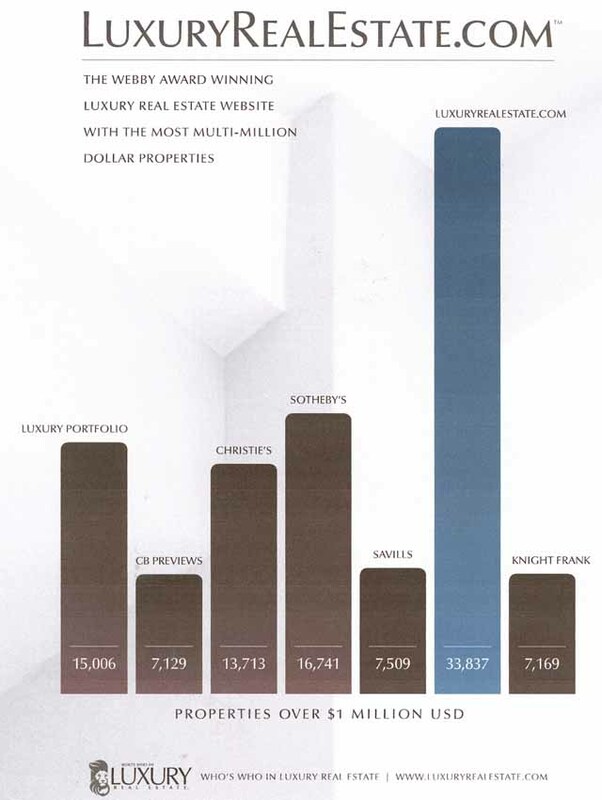 In the Fall of 2007, I accepted an invitation to join LuxuryRealEstate.com's Board of Regents. This is an exclusive group of currently 82 agents neutrally selected from North America & Europe. There can only be one Regent in a market area. This honour allows me to be counted among the world's leading real estate professionals, and as an individual realtor, not just as a company logo. Please contact me, for further details on how this important connection can benefit you!